NSW Touch Football in conjunction with The Wellington Aboriginal Corporation Health Service (WACHS) is set to host the 2019 National Indigenous Touch Football Knockout over the June Long Weekend. In 2017, the CEO of WACHS, Darren Ah See stated how the vision for the National Indigenous Touch Football Knockout was for the event to be fixed in Dubbo’s Events Calendar. Three years on and the event has continued to grow as Junior Divisions were incorporated in 2018. Additionally, even more prize-money is on offer to this years competitors, with $50,000 to be spread across all divisions. 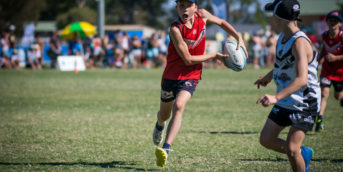 The 2019 National Indigenous Touch Football Knockout will be held on Saturday June 8 and Sunday June 9, 2019 at Apex Park, Dubbo NSW catering to both Junior Divisions (U/10’s to U/18’s) as well as Senior Divisions (Men’s, Women’s & Mixed). As part of WACHS’s Quit B Fit – Tackling Indigenous Smoking Program initiative, the venue will be entirely non-smoking for the duration of the event. WACHS are currently offering an early bird registration special where Junior Team registration fees have been reduced to only $200 (saving $50) and Senior Team registrations discounted to $600 (saving $150). This special promotion is valid for a limited time only and expires on Friday 19 April 2019. Organise your team mates and sign up TODAY to take full advantage of this great offer! Further information in regards to registration and Event Sponsorship packages can be accessed on the Indigenous Touch Football Knockout website. Click here to find out more ! Feel free to also follow @national_indigenous_touch_ko, @nswtouch, @touchfootballaustralia for all of the latest Indigenous Touch Football Knockout Information. For any further Event inquiries, please contact Samantha Ah See (Events & Promotion Officer – WACHS) on (02) 6882 2757. 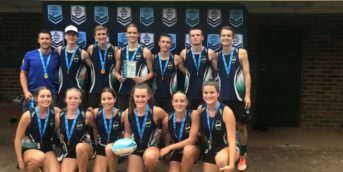 For any Referee inquiries, please contact Rebecca Dennis (Events Officer – NSW Touch Football) via email on rebecca.dennis@nswtouchfootball.com.au.